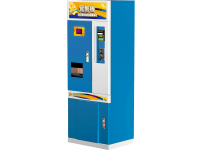 including high quality coin selector and bill acceptor. Including a bill acceptor & coin selector. High quality metal cabinet, All made in Taiwan.